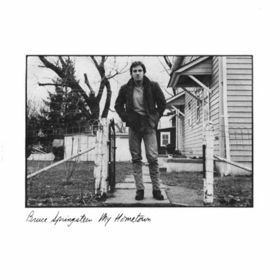 Bruce Springsteen, an American singer-songwriter and multi-instrumentalist, renowned for his poetic lyrics & emotive and honest rock has been releasing albums since his debut Greetings from Asbury Park, N.J. in 1973. 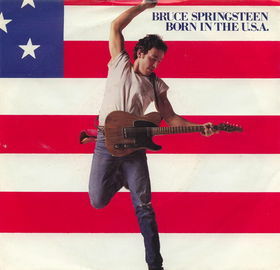 “Like the guys in the songs, the music was born in the U.S.A.: Springsteen ignored the British Invasion and embraced instead the legacy of Phil Spector’s releases, the sort of soul that was coming from Atlantic Records and especially the garage bands that had anomalous radio hits. He’s always chased the utopian feeling of that music, and here he catches it with a sophisticated production and a subtle change in surroundings — the E Street Band cools it with the saxophone solos and piano arpeggios — from song to song. 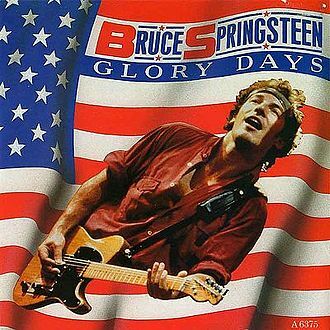 Though the characters are dying of longing for some sort of payoff from the American dream, Springsteen’s exuberant voice and the swell of the music clues you that they haven’t given up. In “No Surrender,” a song that has the uplifting sweep of his early anthem “Thunder Road,” he sings, “We made a promise we swore we’d always remember” no retreat, no surrender.” His music usually carries a motto like that. He writes a heartbreaking message called “Bobby Jean,” apparently to his longtime guitarist Miami Steve Van Zandt, who’s just left his band — “Maybe you’ll be out there on that road somewhere. . .in some motel room there’ll be a radio playing and you’ll hear me sing this son/Well, if you do, you’ll know I’m thinking of you and all the miles in between” — but he gives the song a wall of sound with a soaring saxophone solo. 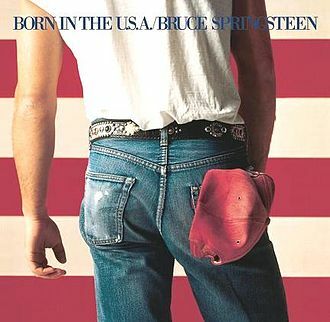 That’s classic Springsteen: the lyrics may put a lump in your throat, but the music says, Walk tall or don’t walk at all. A great dancer himself, Springsteen puts an infectious beat under his songs. In the wonderfully exuberant “I’m Goin’ Down,” a hilarious song that gets its revenge, he makes a giddy run of nonsense syllables out of the chorus while drummer Max Weinberg whams out a huge backbeat. And “Working on the Highway,” whips into an ecstatic rocker that tells a funny story, hand-claps keeping the time about crime and punishment. Shifting the sound slightly, the band finds the right feeling of paranoia for “Cover Me,” the lone song to resurrect that shrieking, “Badlands”-style guitar, and the right ironic fervor for the Vietnam vet’s yelping about the dead ends of being “Born in the U.S.A.” Though there’s no big difference between these and some of the songs on Springsteen’s last rock LP,The River, these feel more delightfully offhanded. 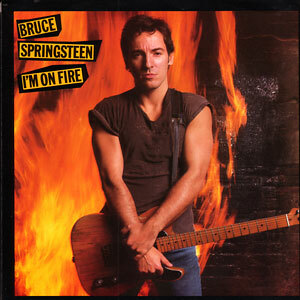 The tight-lipped character who sings “I’m On Fire” practically whispers about the desire that’s eating him up. “Sometimes it’s like someone took a knife, baby, edgy and dull, and cut a six-inch valley through the middle of my skull,” he rasps. The way the band’s turned down to just a light rattle of drums, faint organ and quiet, staccato guitar notes makes his lust seem ominous: you picture some pock-marked Harry Dean Stanton type, lying, too wired to sleep, in a motel room. That you get such a vivid sense of these characters is because Springsteen gives them voices a playwright would be proud of. In “Working on the Highway,: all he says is “One day I looked straight at her and she looked straight back” to let us know the guy’s in love. And in the saddest song he’s ever written, “Downbound Train,” a man who’s lost everything pours his story, while, behind him, long, sorry notes on a synthesizer sound just like heartache. “I had a job, I had a girl,” he begins, then explains how everything’s changed: “Now I work down at the car wash, where all it ever does its rain.” It’s a line Sam Shepard could’ve written: so pathetic and so funny, you don’t know how to react. 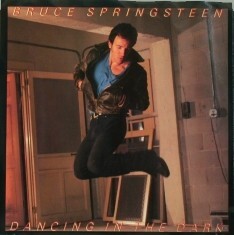 The biggest departure from any familiar Springsteen sound is the breathtaking first single, “Dancing in the Dark,” with its modern synths, played by E Street keyboardist Roy Bittan, and thundering bass and drums. The kid who dances in the darkness here is practically choking on the self-consciousness of being sixteen. “I check my look in the mirror/I wanna change my clothes, my hair, my face,” he sings. “Man, I ain’t getting nowhere just living in a dump like this.” He turns out the lights not to set some drippy romantic mood but to escape in the fantasy of the music on the radio. In the dark, he finds a release from all the limitations he was born into. In the dark, like all the guys trapped in Springsteen’s songs, he’s just a spirit in the night”. Recorded at the Power Station and The Hit Factory. Mixed at the Power Station.